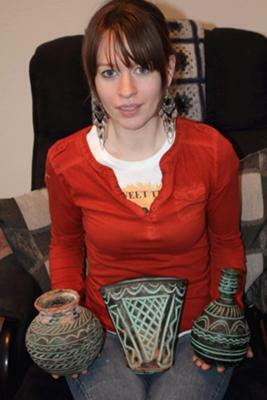 I bought these old Native American Indian pots about 3 yrs ago at a second hand store. The American Indian pots have no makers mark that I can see. 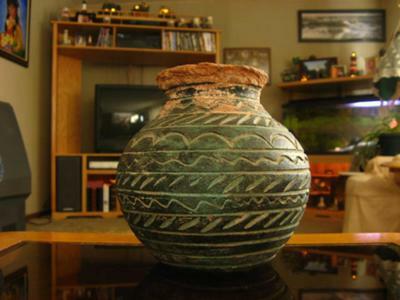 It looks like they were made from red clay with the design etched into the pot. 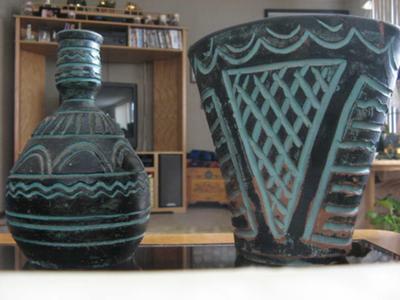 The clay pot colors are teal and black. One is cracked and looks as though someone repaired it, otherwise in fair condition. 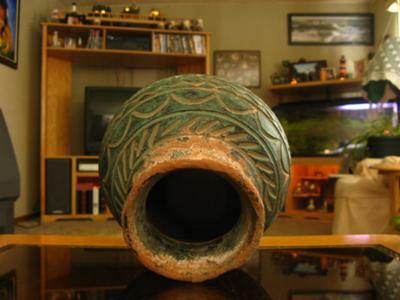 I would like to know what the shapes are called and what kind of clay the American Indian clay pots were made from. Also, if possible who or what tribe made them if any.